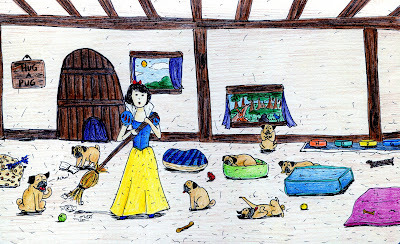 Here we have Snow White and the seven pugs. 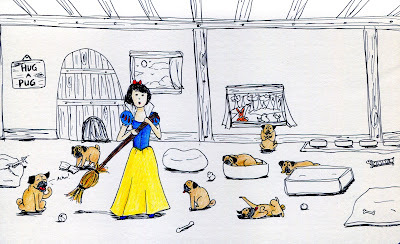 Poor Snow White, look at all that pug hair that she's trying to clean up with a weak lil broom. 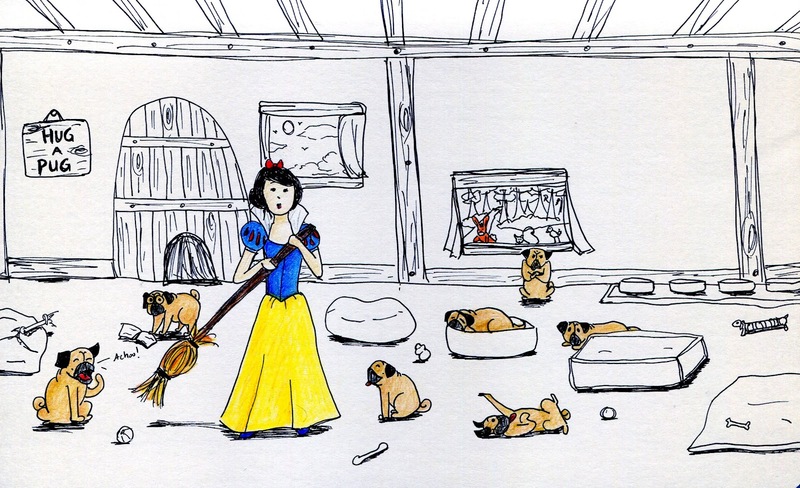 With seven pugs, there's no way she would be able to clean up all that hair! 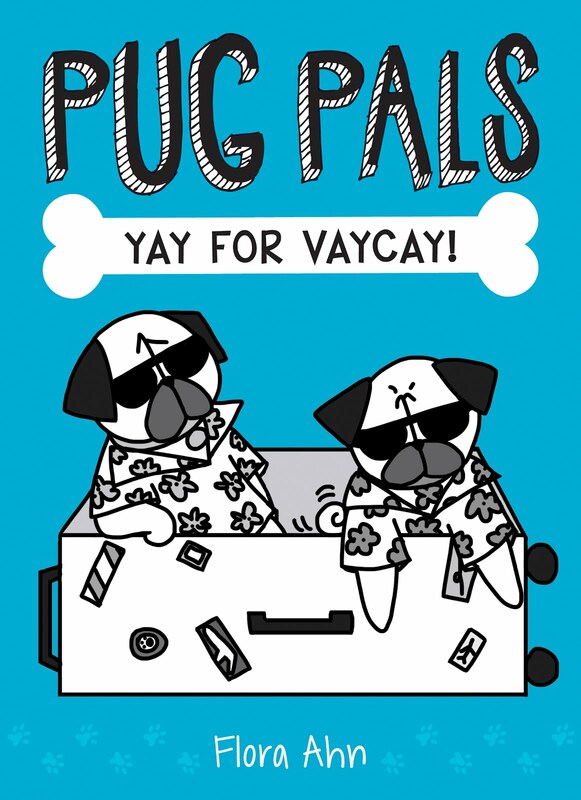 I can't keep up with my one pug's shedding even using all my lint rollers and vacuum cleaners. I found most of the seven dwarfs' names perfectly suited for pugs (e.g., Sleepy, Sneezy, Dopey). See if you can identify each of them! There's Bashful, Doc, Dopey, Grumpy, Happy, Sleepy, and Sneezy. I did this first as a pen sketch with some color highlights, but I wanted to add more color to this one. In the end, I'm not sure which one I like better. 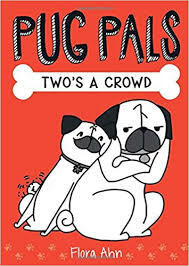 Although the one below doesn't have the pug fur that I added at the end. Haha yes I second the roomba! 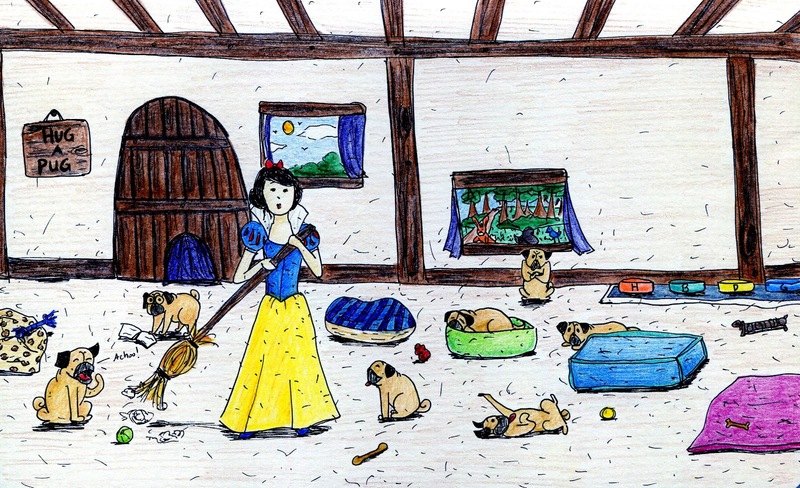 Although with seven pugs, I think she may need two or three roombas. And I'll bet they all have to be let outside to pee at different times. Ted - Haha of course! Well I put in a doggy door so at least that'll help a bit.